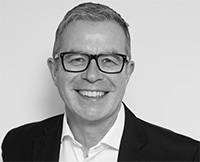 Tim Davies was appointed Managing Director of our new, UK operation in 2018. Tim is well-known in the British publishing industry, with a strong reputation and an excellent network of industry contacts. His previous roles include Managing Director at The History Press and multiple senior management positions at Oxford University Press, HarperCollins UK, Faber & Faber and others. He is also an executive coach and a mentor on the Independent Publishers Guild’s Mentor Scheme. Why is Tim so good at being consultative with our UK-based customers? Well, he began his career as a trainee sales representative at Granada Publishing, later acquired by William Collins. From the start, he was aware how fortunate he was to be in the industry, and enjoyed the enthusiasm and passion the professionals around him brought to their positions. Over the subsequent decades, he honed and developed his industry knowledge. Through his volunteer position as a mentor in the IPG, he has returned the favour by helping many start-up ventures with consultation on how best to launch or grow their businesses. It was through our network of British publishers and other industry figures, that a resounding call came back with “Tim Davies”, when we asked who would be a good fit to run our burgeoning UK operation.